Items checked: Starter | Battery | Alternator Please, limit one per person. Cannot be combined with another special. Listen to our shout out on LOCAL 98.1 THE MAX! WIN UP TO $100.00for Your Feedback! We also take the time to explain every job, and always provide you with an estimate in advance. You can be assured that our technicians have been trained to repair your vehicle - old and new alike - the very first time. And we always use the right parts for your vehicle. 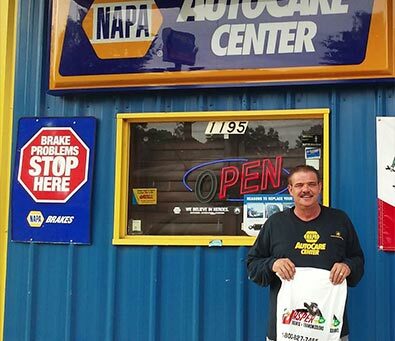 Our friendly staff invites you to schedule an appointment for your next scheduled maintenance or repair. We are a full-service shop and can handle both your basic requirements and your ultimate performance needs. From batteries to brakes, to tune-ups — let us make sure your vehicle is reliable and safe. At Allen's Automotive we only use Factory Equipment & Tools. That means that you don't have to worry about voiding your vehicle's warranty by coming to us! We specialize in drivability and making sure you get the most out of your vehicle because we understand how important reliable transportation is to you and your family. 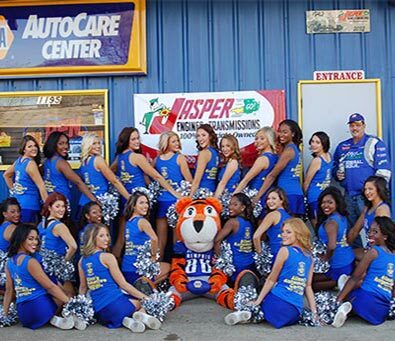 Trust your car to Allen’s Automotive - Your local Premier Napa Auto Care Center… Serving the entire Midsouth for over 30 years! Famous for service, quality, Napa Know-how, and great hospitality! 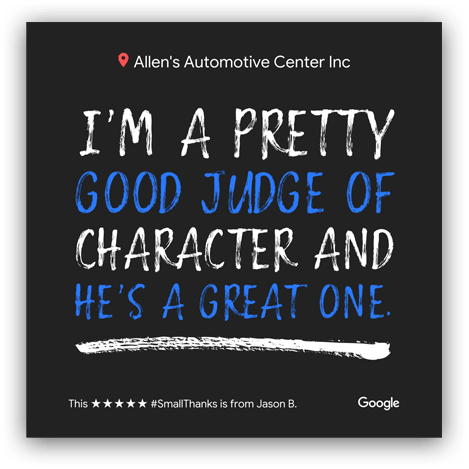 See Allen for factory diagnostics, preventative maintenance, transmissions, brakes, tires, alignments, electrical, exhaust repair & replacement, suspension work, engines, and emissions! Ask Allen about 12-months, same as cash, zero percent financing, and peace of mind with Napa’s 2-year/24-thousand mile warranty! Like Allen’s on Facebook for special offers! Make sure you download Allen's App! 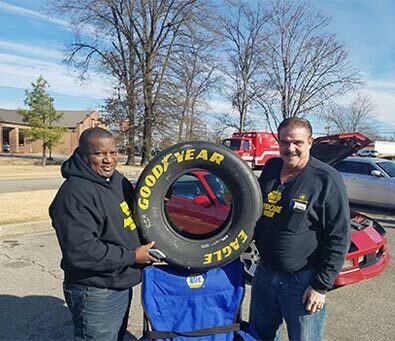 Trust your vehicle to our official Premier Midsouth Napa Auto Care Center, Allen’s Automotive, 1195 Winfield Just Off Hwy 51 In Whitehaven. 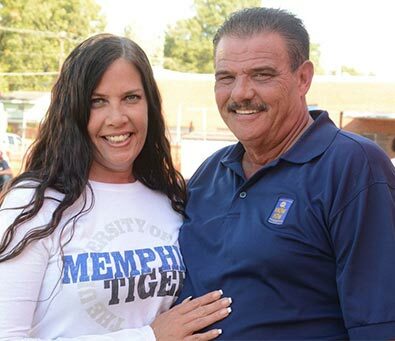 A Midsouth tradition for over 30 Years, Allen’s Automotive! 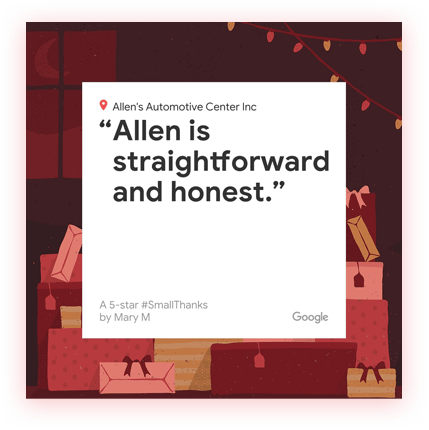 “Once again great service and all around great experience at Allen's Automotive. It's been a pleasure to discover a business which cares not only for your vehicle but treats their customers like family. Mr. Allen is always honest when it comes to what the problem is and gets the job done as quick as possible. Experience and Integrity is still alive and well ! If you love your car like I do then this is the only place I recommend. In the age of feeling like your getting over charged and not getting good quality care for your car. Allen's stands above the rest ! 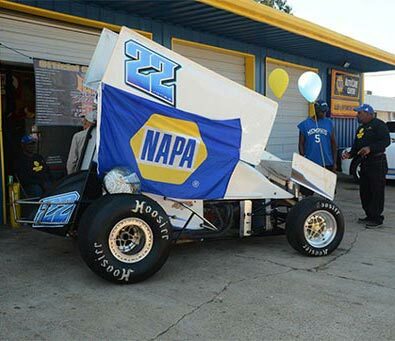 There is a reason he's been in business as long as he has ..... No frills and no double talk.... Just honest good quality car care .... Just don't have that anymore. Well I looked for days to find someone that was willing to handle my convertible. Not only did he handle it ! He fixed it ! And didn't feel like I got ripped off ! You have a loyal customer from now on ! Thanks again for taking care of my sweet ride !